Forest Garden 3 x 5 Overlap Dip Treated Apex Shed: This Forest Garden Overlap Shed has a compact 3 x 5 size so will fit into the smallest of gardens to provide that much needed storage space for your gardening essentials. This Forest Garden Overlap Shed has been constructed with 7mm square cut overlap timber construction and allows rain to easily run off the boards. This shed comes with a single door with hidden hinges, has also been triple braced for added strength and can be hung on either side. 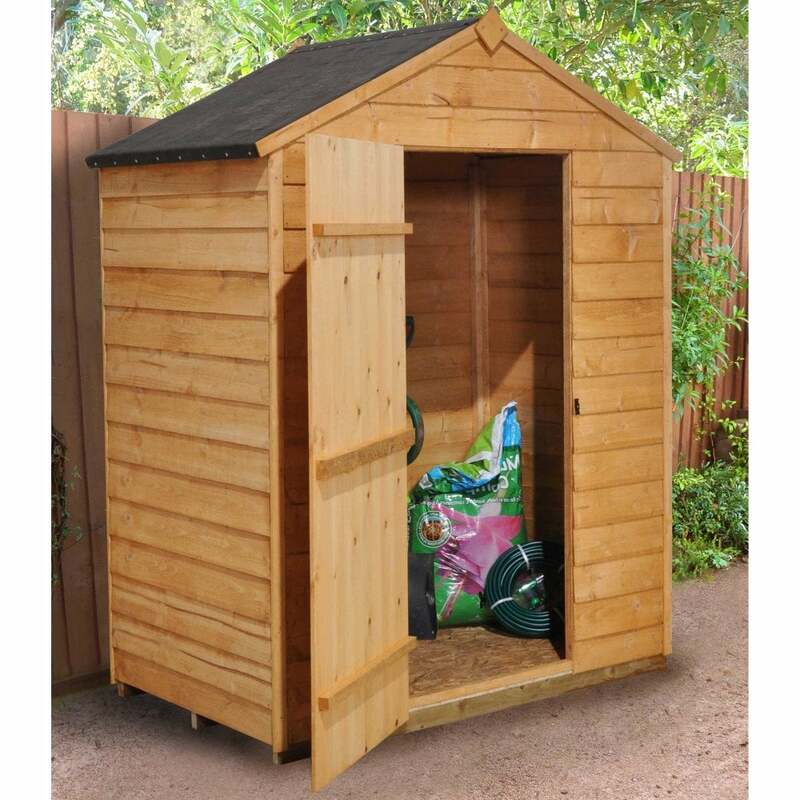 With no windows, this shed is perfect for storing your garden tools, machinery and accessories and the turn button door fastener increases security. The Forest Garden Overlap Shed comes with a waterproof felt material and both the floor and roof are OSB constructed.